Leuven, Belgium – 19 April 2018 – Leading GNSS receiver manufacturer Septentrio is delighted to announce the arrival of its AsteRx SB which will be showcased from the 23 April at Expomin in Santiago, Chile and Intermat in Paris, France. The AsteRx SB delivers Septentrio’s ground-breaking quad-constellation RTK in a low-power, IP68 compliant housing. Built around the hugely successful AsteRx-m2 GNSS receiver engine, the AsteRx SB features WiFi, Bluetooth, USB, Ethernet and serial connectivity. 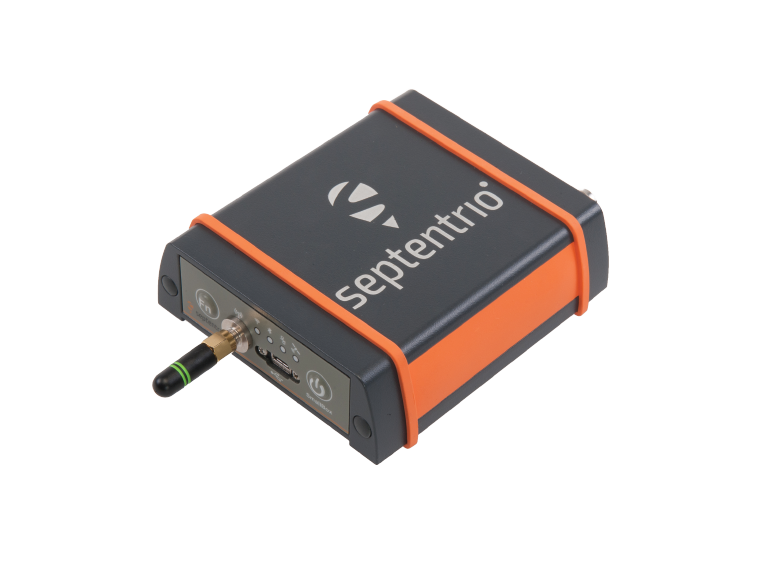 Septentrio’s GNSS+ suite of positioning algorithms converts difficult environments into good positioning: LOCK+ technology to maintain tracking during heavy vibration, APME+ to combat multipath and IONO+ technology to ensure position accuracy during periods of elevated ionospheric activity. The AsteRx SB also features AIM+ interference mitigation and monitoring system which can suppress the widest variety of interferers, from simple continuous narrowband signals to the most complex wideband and pulsed jammers. Whether exposed to the elements or inside a vehicle cab, operating alone or as a core component of a sensor-fusion system, the AsteRx SB is straightforward to setup and integrate into any new or existing application. Using WiFi or micro USB, the AsteRx SB can be configured and monitored using any device with a web browser. ‘We believe the AsteRx SB is the best all-rounder on the market today. We’ve produced a small and low-power device with zero compromise on performance. From machine control to sensor-fusion applications, manned or unmanned, the compact size and low power of the AsteRx SB along with its range of communications options make it ideal for any project requiring reliable high-precision positioning,’ said Gustavo Lopez, Product Manager at Septentrio. At Intermat in Paris, you can find Septentrio at Booth 6H-041 and at Expomin in Santiago, Chile at Booth 1K-30.